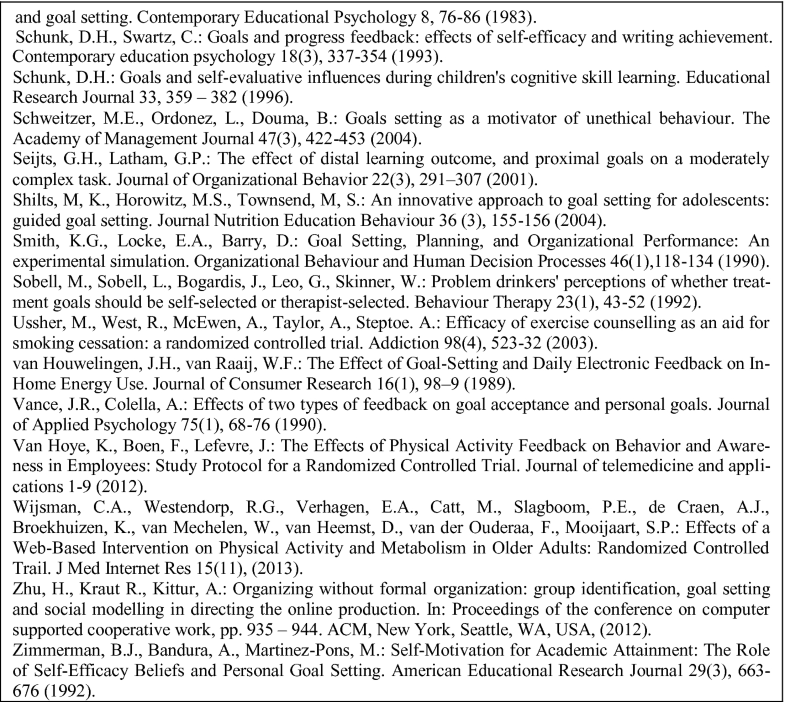 The concept of goals is prominent in information systems and also artificial intelligence literature such as goal-oriented requirements engineering and self-adaptive systems. Digital motivation systems, e.g. 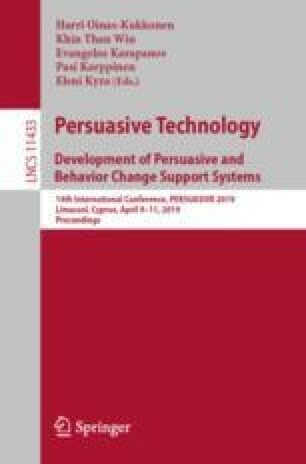 gamification and persuasive technology, utilise the concept of behavioural goals which require a different mind-set on how to elicit and set them up, how to monitor deviation from such goals and how to ensure their completion. 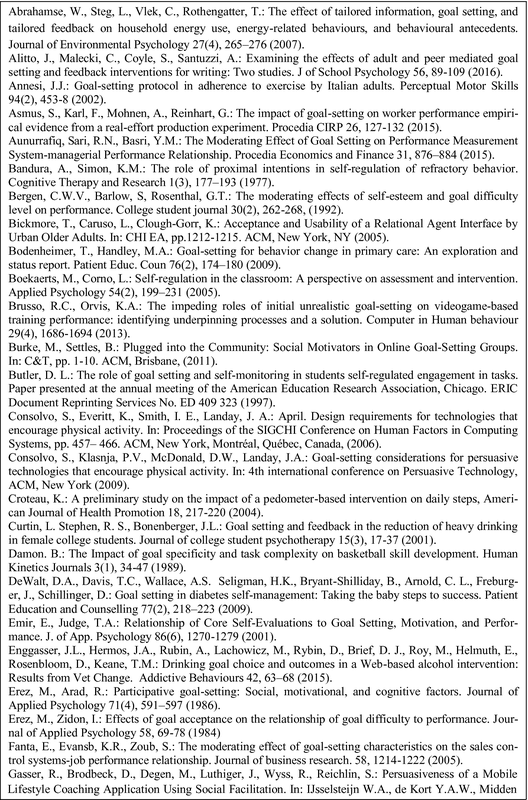 Behavioural goals are characterised by a range of factors which are not the main focus in classic information systems and AI literature such as self-efficacy, perceived usefulness. To engineer software supporting goal setting, a concretised taxonomy of goals would help a better-managed analysis and design process. 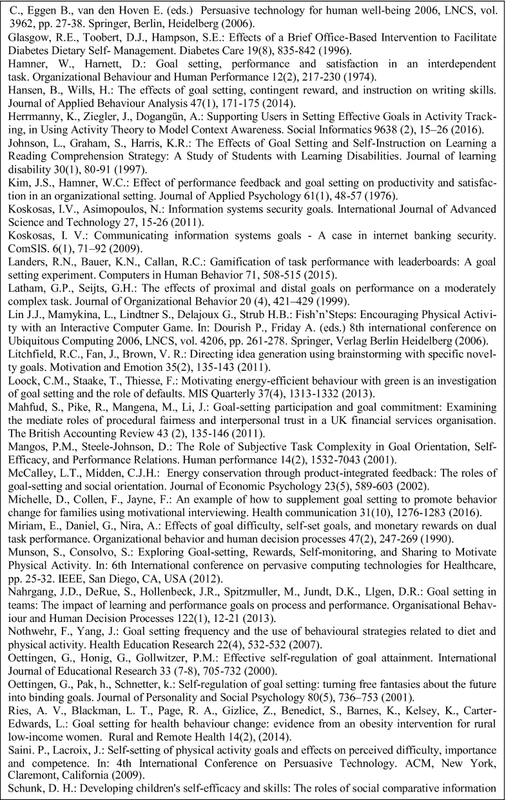 In this paper, we provide a detailed classification of behavioural goals and their associated properties and elements (types, sources, monitoring, feedback, deviation and countermeasures). 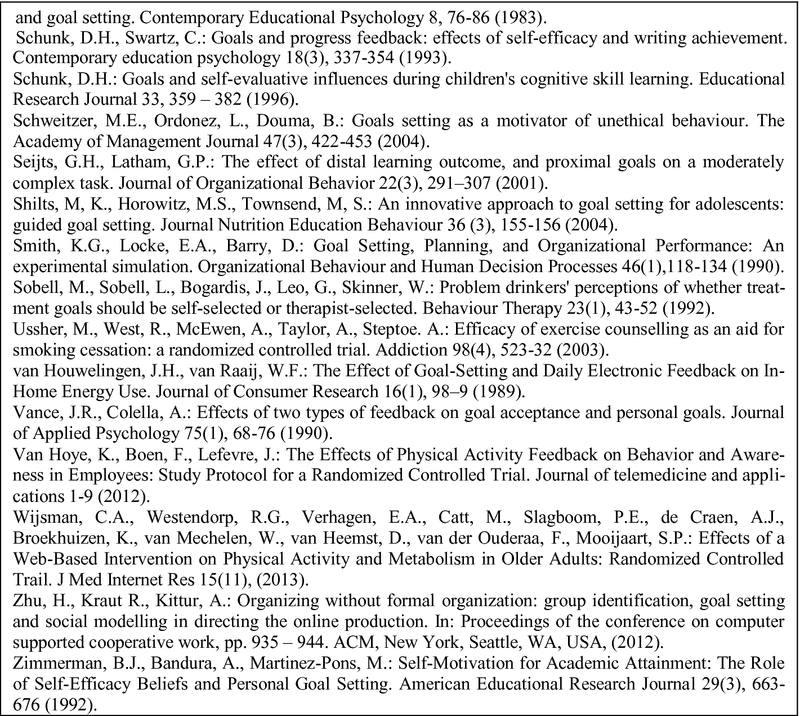 As a method, we review the literature on goal setting theory and its application in different disciplines. We subsequently develop five reference checklists which would act as a reference point for researchers and practitioners in persuasive and motivational systems. This work has been partially supported by the EROGamb project funded jointly by GambleAware and Bournemouth University.